﻿U.S. Treasury Building, Washington, DC. 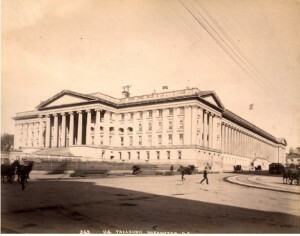 U.S. Treasury Building, Washington, DC. 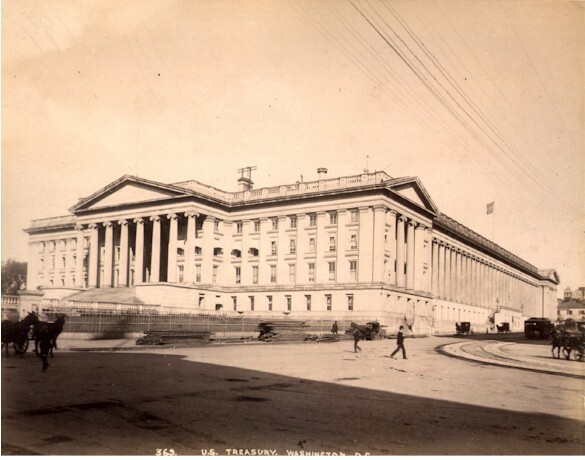 Description: The U.S.Treasury Building. Reverse side has albumen photograph of similar size of U.S.Army & Navy Building, Washington D.C.